Sri Lanka, floating off the southeastern tip of India, and splashed by salt water on all sides, is a tropical destination that isn't on everyone's travel radar, but it should be. These four reasons to visit the country formerly known as Ceylon will inspire you to skip the Caribbean and venture to the Indian Ocean for your warm weather escape in 2017. It's easy to book a flight to Cancun, or wherever your go-to destination may be, to escape the cold every year. 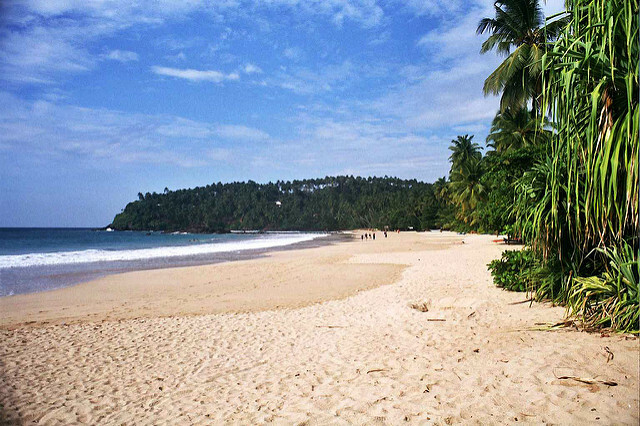 But not all of the world's best warm-weather destinations are lined by the turquoise Gulf of Mexico or Caribbean Sea. 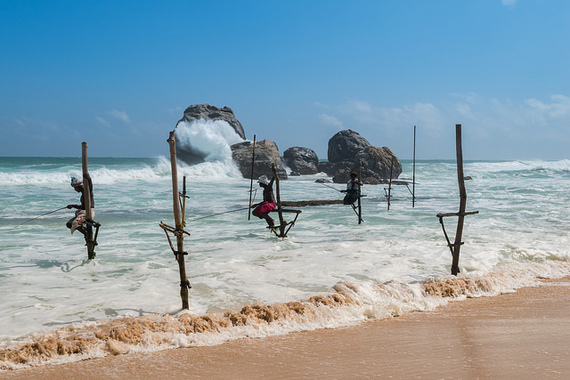 Sri Lanka, floating off the southeastern tip of India, and splashed by salt water on all sides, is a tropical destination that isn't on everyone's travel radar, but it should be. These four reasons to visit the country formerly known as Ceylon will inspire you to skip the Caribbean and venture to the Indian Ocean for your warm weather escape in 2017. It can be fun to meet fellow travelers on getaways, but struggling to find an empty place on the sand makes popular tourist destinations much less fun. While tourist arrivals in Sri Lanka have been growing exponentially in recent years, just 1,798,380 tourists visited the country in 2015. The city of Cancun alone sees roughly 5 million visitors each year. Your journey around the world will be rewarded with long, untouched stretches of sand, aquamarine lagoons free of swimmers, and, not to worry, plenty of places to party on the sand when you're feeling social. Google images of Sri Lanka, and you'll probably find photos of fishermen perched atop skinny structures made of sticks. You'll wonder how they ever reel in a sea creature until you see the collections of fresh fish sold near the sand and streets every evening. Fresh fish brought in by the iconic Sri Lankan stick fishermen isn't the only organic and affordable food you'll enjoy. Pancake-like hoppers, colourful curries, jackfruit, stir-fried kottu, and rotis (flatbreads) stuffed with everything from potatoes to eggs, curried beef and fish, are just a few of the delectable snacks and dishes you'll find directly on the street. You may feel a bit like a local when sipping tequila in a hole-in-the-wall bar in coastal Mexico, but mildly authentic experiences in the most popular tourist destinations don't compare to the cultural heritage you'll find in Sri Lanka. Evidence of human settlements in Sri Lanka date back roughly 125,000 years, and the cultural diversity that has developed over hundreds of centuries is what makes Sri Lanka such a memorable travel destination. Taste the tea (Ceylon) that was made famous by the island nation in the 19th century, visit the Sacred City of Kandy, shop the Portuguese-settled town of Galle, and admire the UNESCO World-Heritage listed cave monastery at the Golden Temple of Dambulla. Forget about taxi rides from the airport and take the train through Tea Country or along the palm-tree-studded coast instead. Take bus rides free of tourist taxes, haggle over tuk tuk (or rickshaw) rides with friendly locals, or opt for an action-packed air taxi ride to Arugam Bay's world-class waves or the ancient rock fortress of Sigiriya. Wherever you travel throughout the 65,610-square-kilometre island, you're guaranteed to reach your destination in style.